There?s no doubt the Duke and Duchess of Sussex?s upcoming royal baby will take on their parents? characteristics. The duo have a ton of passion, great senses of humour and big hearts to pass down to their child. If Baby Sussex is born between April 20 and May 20 (which is likely! ), the child will be a Taurus. And here?s what that really means! According to Allure?s horoscope expert, earth signs are known to be very practical and grounded?not unlike Prince Harry and Meghan, who both show off their down-to-earth natures with every royal engagement. Harry?s birthday is Sept. 15, which means he is a Virgo. Allure describes Virgos as kind, detail-oriented, and supportive people who like to problem-solve. Meghan, meanwhile, is a Leo since her birthday is Aug. 4. Horoscope.com says people born under that sign are ?natural leaders? who are ?hard-working? and ?passionate.? These are all really great traits for anyone?s parents to have! 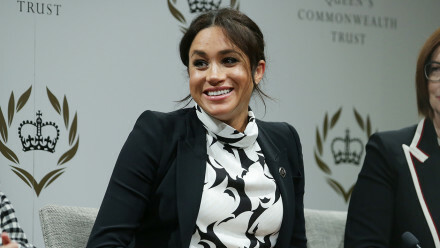 Getting back to Baby Sussex, Taurus is also represented by the bull, which symbolizes level-headedness, stamina, provision, stability, virility, strength, helpfulness, determination and confidence. There?s no doubt the royal baby will carry the same conviction as their parents!